As president emeritus, co-founder, and previous Dean of Academic Affairs at MSP, formerly the Center for Humanistic Studies Graduate School, Dr. Blau has long been involved in furthering the mission of the institution as a unique and outstanding graduate school. She holds a PhD in Humanistic and Clinical Psychology from the Saybrook Institute. Over many years of service, Dr. Blau has worked collaboratively with faculty and administration to develop the masters and doctoral programs and continues to promote high levels of scholarship in both programs. With the goal of promoting the study of humanistic psychotherapy and qualitative research, she contributes extensive experience as an administrator, educator and clinician to MSP. She offers professional presentations nationally and internationally. Dr. Blau co-authored the book The Imperfect Therapist. She is a member of the American Psychological Association (APA), the Michigan Psychological Association, and the Society for Humanistic Psychology. Dr. Blau is a Fellow of the APA and along with MSP in 2018, received the Charlotte and Karl Buhler Award from the Society for Humanistic Psychology of APA for outstanding and lasting contributions to humanistic psychology. 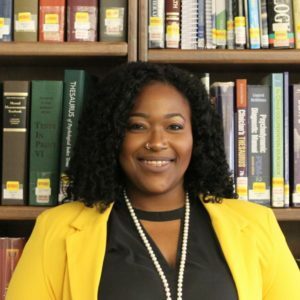 Dr. Douglass has had a variety of involvements in professional psychology and higher education. He was a co-founder of The Center for Humanistic Studies Graduate School, now the Michigan School of Professional Psychology. He is Professor Emeritus at Union Institute & University, where he served for many years as a Professor of Psychology and Assistant Dean. 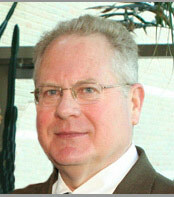 He served as faculty at The Merrill-Palmer Institute and has delivered invited presentations at various universities. 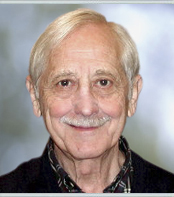 He has been a guest editor for professional journals and has taught numerous seminars to doctoral students in research methods, professional and scientific ethics, and psychotherapeutic techniques. Dr. Douglass maintains a private practice in Traverse City and serves as a Consulting Psychologist for the Medical Services Unit of the Disability Determination Service, Social Security Administration, adjudicating disability claims. Dr. Moustakas was a co-founder of the Center for Humanistic Studies (CHS), now the Michigan School of Psychology. Originally, as a faculty member at the Merrill-Palmer Institute in Detroit, he was joined in visioning and creating CHS as the first graduate school in the Midwest offering a Master’s degree in Humanistic & Clinical Psychology. A contemporary of Carl Rogers and Abraham Maslow, he was a leader in the field of humanistic and clinical psychology. He was at the forefront of establishing the Association for Humanistic Psychology and the Journal for Humanistic Psychology. Throughout his leadership and Presidency at CHS, his main focus was the integration of philosophy, research and psychology in the education and training of humanistic clinical psychologists. He authored 40 books and numerous articles on humanistic psychology, philosophy, education and human science research. His works include: The Self; Heuristic Research: Design, Methodology, and Applications; Loneliness; Creativity and Love: Awakening Meanings in Life; Phenomenological Research Methods; Existential Psychotherapy and The Interpretation of Dreams; Being-In, Being-For, Being-With; and Relationship Play Therapy. The works have been printed worldwide, in 10 different languages. Dr. Moustakas’ contributions to the field of humanistic psychology are an international legacy. Dr. Perry formed the Enhancing Human Potentials (EHP) program with Clark Moustakas at the Merrill-Palmer Institute in the early 1970’s. This program, grounded in humanistic psychology, formed the seeds from which MSP germinated. As a founder of the Center for Humanistic Studies Graduate School, Dr. Perry’s leadership and expertise in teaching and psychotherapy impacted scores of students during her highly regarded tenure as professor and administrator. 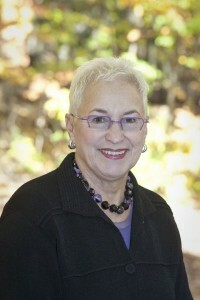 In the late 1990’s, Dr. Perry became Professor Emerita and moved to Washington, D.C. where she resided until her death. 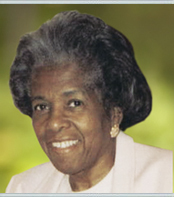 The Cereta Perry Scholarship was established to honor her distinctive contributions.